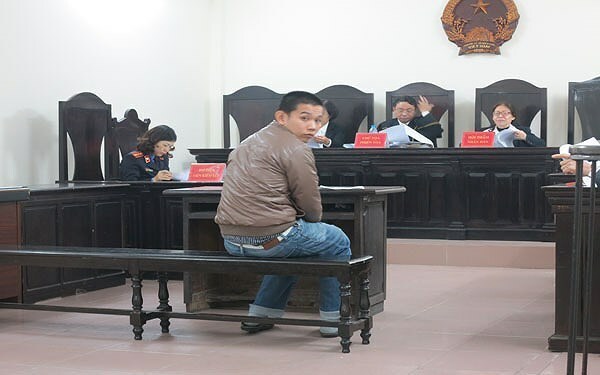 Hanoi (VNA) – The Hanoi People’s Court on January 18 sentenced Koh Yih Siang John, a Malaysian national, 30 months in jail for stealing property in accordance with clause 2, article 138 of the Criminal Code. According to the verdict, 30 year-old John came to Hanoi on August 16 as visitor. Two days later, he stole a credit card from Alanna Maila Pearce from Canada, who shared the room with him and others in a hotel in Hang Buom ward, Hoan Kiem district. He then used the card to purchase one Iphone 7 and one Iphone 7 Plus worth 41 million VND (1,808 USD). On August 19, he moved to another hotel in Hang Trong ward, Hoan Kiem district and nicked 900 USD, one cheque, one credit card and 2 million VND (88.2 USD) from a Brazilian-Korean man staying there. He was arrested on the day.